In the wake of this week’s elections in Israel, Palestinian officials have exclaimed their intention to “intensify” their diplomatic campaign against Israel and bring forward charges against Israeli officials to the International Criminal Court (ICC). Could Palestine’s decision to pursue international criminal justice threaten the Middle East peace process? 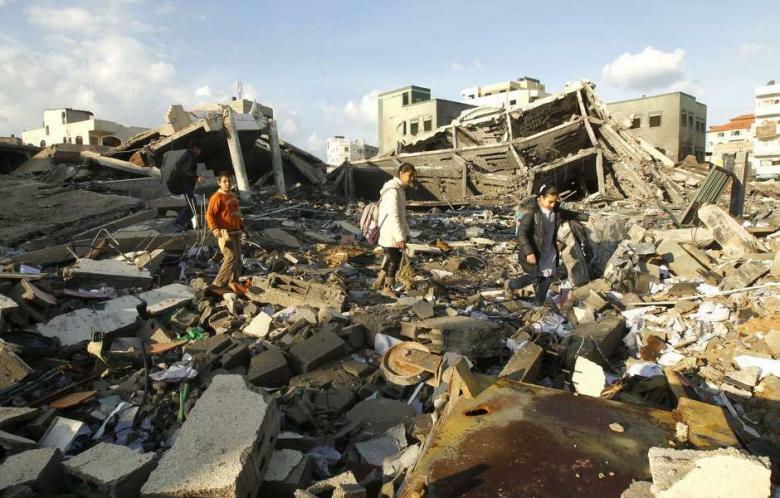 Or could it salvage moribund peace talks via a trade-off of ICC justice for peace between Palestine and Israel? An Electoral Defeat of the Peace Process? Anyone in favour of reviving the Oslo peace process is almost surely disparaging the results of Israel’s election which secured Benjamin Netanyahu a fourth term as Prime Minister. Fearing he would lose a tight race on the eve of the election, Netanyahu relied on the xenophobic strategy of asking Jewish Israelis to take up an electoral, voter-turnout war against the apparent bus-loads of Arab-Israeli citizens voting against his party. At the same time, in order to shore up the radical right of the political spectrum, Netanyahu declared that, if elected, he would never recognize a Palestinian state. To do so, he insisted, was to foster a breeding ground for terror and radical Islam. 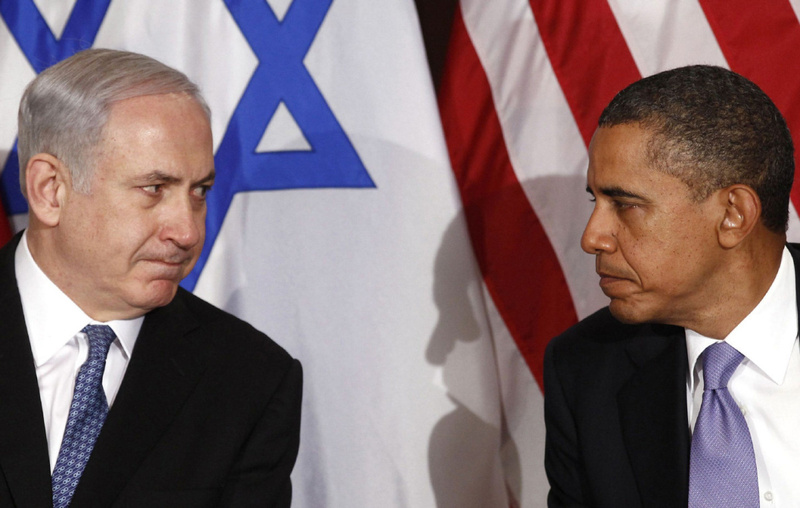 It’s clear that the White House had its fingers crossed for a Netanyahu defeat at the polls. US President Barack Obama is apparently convinced that engaging with Netanyahu is futile and has outsourced any contact with Netanyahu to Secretary of State John Kerry. The White House criticized Netanyahu’s “divisive” rhetoric in the lead up to election day and is vehemently at odds with the Israeli leader’s position against recognizing Palestinian statehood. 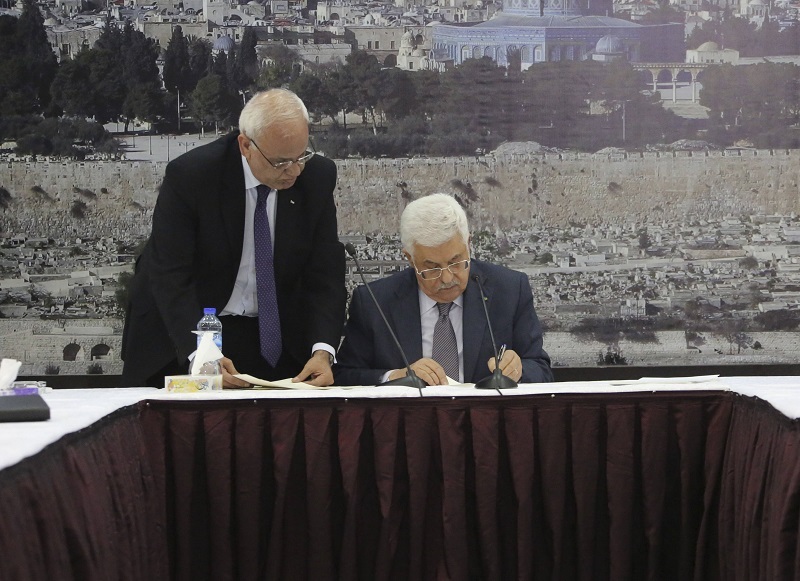 Still, it may be premature to call the Oslo peace process dead. According to John Hudson and Colum Lynch, Washington may be preparing to ramp up efforts to push for a two-state solution at the UN Security Council. What are they using for leverage? The International Criminal Court. “The fact that we have a government in Israel publicly opposing a two-state solution just reinforces our position that this conflict must be handled by the international community,” Maen Rashid Areikat said. Ilan Goldenberg, a former member of the Obama administration’s Mideast peace team, told FP that Washington might be inclined to support a Security Council resolution backing a two-state solution as an alternative to the Palestinian effort to hold Israel accountable at the ICC. “If it was done, it could protect Israel from a worse outcome,” he said. Under this scenario, the United States would seek guarantees from the international community to hold off on ICC activity in exchange for a Security Council resolution outlining international standards for a final peace agreement between the Israelis and Palestinians. “The Israelis will probably resist and say this is a bad idea, but they could also be convinced that this is better than the alternative,” said Goldenberg. Specifically, the US appears interested in having the UN Security Council defer, under Article 16 of the Rome Statute, any investigation (or prosecution) by the ICC of alleged crimes committed on Palestinian territory in exchange for a resolution that galvanizes conclusive peace negotiations. Such a justice-for-peace trade-off would yield a curious blend of both costs and benefits. As David Bosco has pointed out, one drawback of trading justice for peace stems from the fact that an Article 16 deferral is inherently unstable. Article 16 requires that the UN Security Council agree to renew any deferral every twelve months. Any Permanent-5 member has the ability to veto such a deferral and it is unclear whether the France or the UK (both ICC member-states) would be willing to support an Article 16 deferral – now or in the future. At the same time, while a deferral may work once, there’s no guarantee it would work down the line. Indeed, if relations between Russia and the US continue to deteriorate, would Moscow throw in the wrench a year or two from now? It seems entirely plausible. Moreover and relatedly, a deferral could leave both Israel as well as Palestinian factions with the incentive to only partially commit to the stipulations of any peace agreement. In the context of a potential deferral of the ICC’s intervention in Libya, I wrote of the bastardized incentives that a deferral-for-peace deal can have. In short, the temporary nature of a deferral would leave its beneficiaries with an interest in acting as half-compliant potential spoilers so as to retain the ability to leverage future progress towards peace in exchange for continued deferrals. Still, invoking Article 16 could also yield certain benefits – at least for some of the parties involved. Importantly, a deferral would settle the peace process within a clear and conditional context. Similar to the notion of a ticking-time or conditional referral of Syria to the ICC, a deferral would reward good behaviour by both states towards a comprehensive peace agreement. The costs of reneging would be clear. For the legion of observers and proponents of the ICC that think the Court could not possibly benefit from an intervention in Palestine, a deferral could also be a good thing as it would insulate the institution from what many consider a political tinderbox. Importantly, it would also place the ultimate responsibility for justice – or injustice – squarely at the feet of the UN Security Council – and not the Court. The Palestinian Authority would also surely be in favour of such a deferral. The open secret is that the PA never actually wanted to get the ICC involved. President Mahmoud Abbas consistently threatened to “go to the ICC” and attempted to leverage ratification of the Rome Statute against progress in the peace talks and recognition of statehood. Abbas delayed as long as he could whilst Israel and the US balked at his successive ultimatums. Ultimately, Abbas couldn’t withhold ratification and referral any longer without being perceived as a vacuous propagator of empty threats. But there is little point in denying: if Abbas could exchange an ICC investigation for concessions towards Palestinian statehood and conclusive negotiations, he would do so in a heartbeat. Lastly, but most importantly, it is crucial not to neglect the ethical minefield that an Article 16 deferral represents. The Palestinian Authority has raised the expectations of victims and survivors that justice can and will be achieved. This begs the question: is it not morally reprehensible to pull the plug on those who now expect that perpetrators on both sides will be brought to account? This is an immensely difficult question to answer and leaves us in an all too familiar and unsatisfying dilemma: what is worse – an imperfect peace that sacrifices accountability or the continuation of protracted conflict where a few senior officials might, one day, be brought in front of judges in The Hague? Answering this question goes to the very heart of the “peace versus justice” debate, a very murky and unsatisfactory terrain. But one thing, however, seems clear: we will soon find out which actors stand where. This entry was posted in Article 16, International Criminal Court (ICC), International Criminal Justice, Israel, Palestine, Palestine and the ICC, Peace Negotiations, Peace Processes and tagged Barack Obama, Benjamin Netanyahu. Bookmark the permalink. Reblogged this on Notes from Shukri.